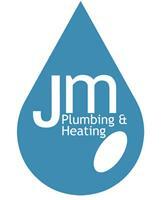 Welcome to JM Plumbing & Heating – The premier choice for plumbing, heating and gas services in Sussex. At JM Plumbing & Heating, we truly care about the quality of work we do. We are a family run business who honours a friendly and reliable company ethos. Every member of our team produces consistent high quality work, whilst respecting you and your home, ensuring a worry free experience. The extensive knowledge and advice we have to offer our customers is second to none. No problem too big or small – we always have the solution. All aspects of plumbing and heating undertaken, from ball valves to boilers and bathrooms. You can rest assured that the job is being completed thoroughly by our experts, who are committed to providing a complete professional service to the highest standard. All work carried out is guaranteed for 12 months and you can relax in the knowledge that we are fully insured. Here at JM Plumbing & Heating our gas knowledge and qualifications, in our opinion, far exceed our main competitors. We take gas work very seriously and safety is always the main priority. Gas installations should be checked regularly and maintenance carried out as required. Our gas installation service provides a full package for all your appliances, including maintenance, repairs and spare parts. We pride ourselves on the standard of work and lack of 'call backs' we receive, always striving to give the best service possible.